TresBello artisan shoppe on wheels is focused on providing our customers with local and worldwide designs. We love beautiful things, made by beautiful people who come from beautiful places; we are compelled to shop and share. We purchase directly from the creators and sell to you. One of our goals is to create sustainability around the world. Shopping at TresBello provides the creators with an income and a source of exposure. We guarantee that your shopping experience at TresBello will be as unique as the items being sold! Hi my name is Janet and this is my story. If I think about how far this idea goes back, I now understand how my life has unfolded. As a teen I visited a shop on Front Street in Toronto called Frieda's. Each time I walked in the door, I felt as though I was being taken to far away lands. Frieda’s was set in a beautiful, old Toronto building with creaky wood floors and brick walls. The colours of the merchandise were exotic and vibrant. As I walked around taking it in — all the sites and sounds of distant lands — I remember saying to myself "someday". Meaning "Someday I will have a shop like this”. That beautiful, old Toronto building is now home to a travel shop… makes sense I guess. In university I met my husband, and after graduation we left Canada for four years to live abroad and travel. On that journey we discovered that the world is full of beautiful places, beautiful people, and beautiful things. My purpose is to share the stories of these places, people and things; to help us all appreciate that the world is small, and the world is beautiful, as are the people of this world. The stories are shared through the things that these people make from the resources available to them. These resources are part of the world as they know it. This is how they make a living, this is how they help others. By offering these things to you, we all contribute and help each other. Now, years later, after a career in IT, I am making my dream a reality. 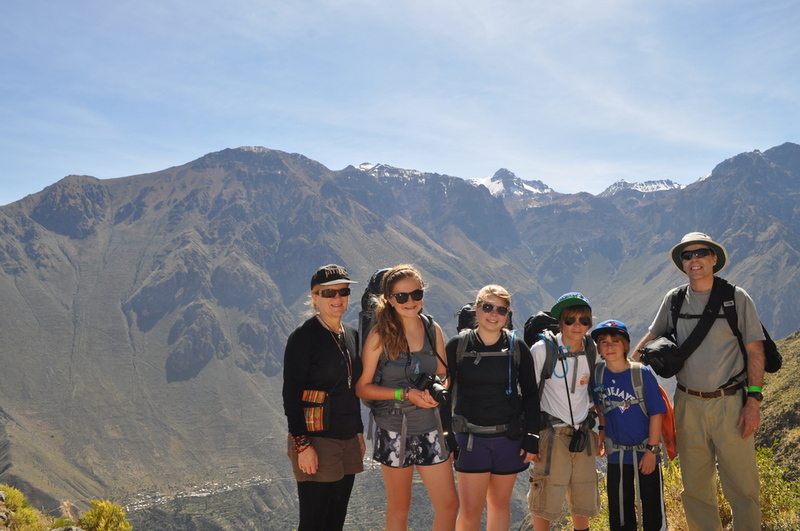 We have four great kids, all of whom got the travel bug from their parents! We live a kind of nomadic lifestyle in that we base ourselves in Caledon, Ontario, but we summer in the Kawarthas, and winter up north at the ski hills. This nomadic lifestyle caused me confusion when trying to establish where I was going to have a shop. I looked at many different options and then one of my travel friends suggested I take the shop along with me, in other words, have it in a truck! At the time I was hosting a lot of home parties and lugging my ever increasing amount of stuff in and out. The idea of just rolling up the back and opening up was the answer! Surround yourself with the things you love. What brings you joy, what makes you laugh, what makes you feel good? For me, that comes in the form of family, friends and being taken away to distant lands whether real or imagined. Just like at Frieda's. The things I buy for TresBello (Three Beautiful) are reminders that the world is small, the world is beautiful, and the people of the world are beautiful. Come join me, and be a part of that.